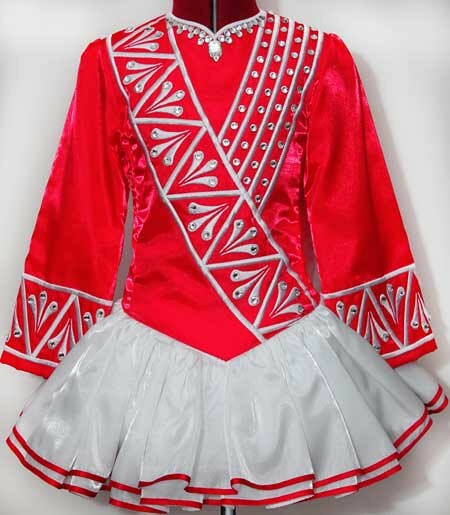 Dropped waist at seam: 26½"
Vibrant red twinkle satin bodice and sleeves featuring a modern white asymmetrical embroidery design. 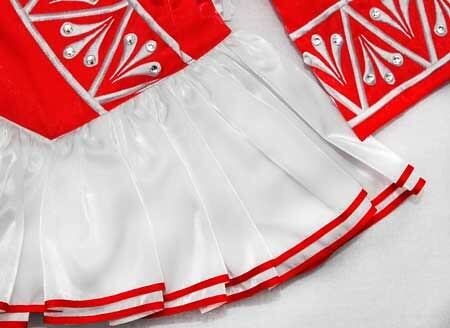 Modern style skater skirt constructed from two layers of white twinkle satin with red ribbon trim. 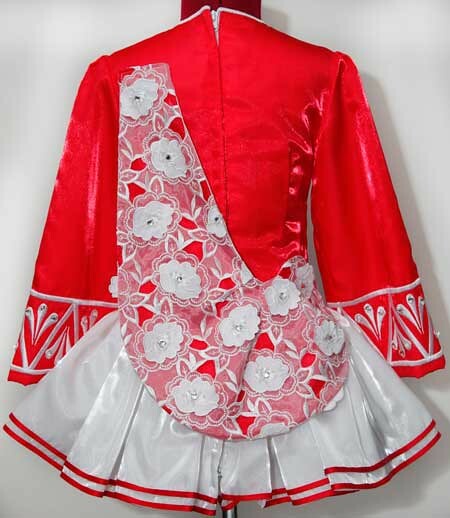 Soft style shawl constructed from red twinkle satin with white floral cut-work lace overlay. White cotton skirt lining with fun red, yellow, blue and green polka dots.